If you are a Reddit lover and want to know some more sites like Reddit, this article may help you! Reddit is one of the most popular social media and news aggregation websites which is loved by its users! There are several features of Reddit which make it one of the popular websites out there. It’s not very easy for any other website to beat Reddit in terms of popularity, the frequency of updates and the user community. Every news that’s there on the Internet is on the Reddit regardless of the categories it belongs to! Besides that, the feature of Reddit enabling the users to build up communities, upvote or downvote any article, discussion with the fellow community members and the environment of creating a decent debate on any topic are some of the features which make Reddit extremely popular among the users. But if for any reason you are not interested in using Reddit, we have a good news for you! There are various Reddit like sites on the Internet which more or less offers almost the similar features. So If you want to know the top 10 Reddit alternatives, stay tuned for this article. After a fair research, we have compiled a list of top 10 websites like Reddit which shows similarities to Reddit in terms of features and can be used if Reddit is no more the best option for you! I know you can’t wait to head over to the list. Then why delay, let’s get started! Quora is one of a fabulous open discussion community which has accumulated immense popularity in the recent past. 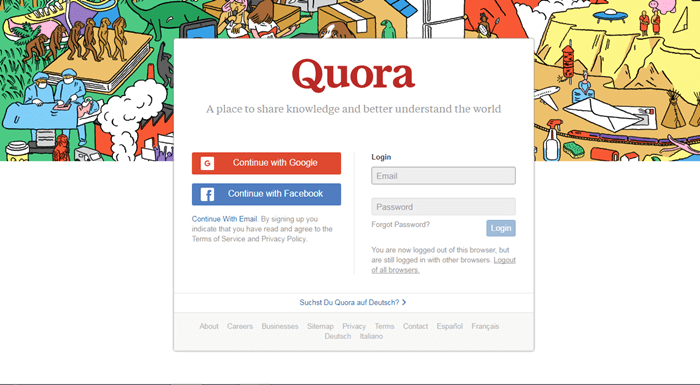 Quora is known to be a question answer based website but still considered as a Reddit alternative because of its nature of allowing users to share and grow each other’s knowledge. Quora is one of the biggest open community over the web where people around the world connect to each other and discuss their knowledge. Those who have questions related to any field can put their query on Quora and gets a variety of answers from the people of different part of the world. Also, if you are an expert in some topic, you can answer the queries of the other people over Quora to share your knowledge. The best thing about Quora is it’s well categorized in the different categories which you can browse through and discover questions and answer related to your field very easily. Since Quora has the most active user community, there are hardly any topics which aren’t discussed here. So overall, Quora can be considered one of the sites like Reddit without any dispute. 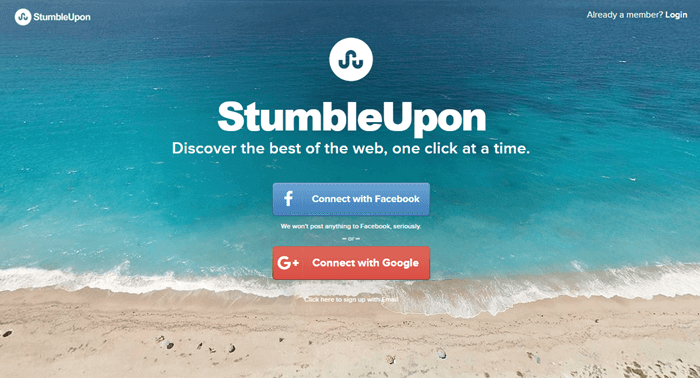 StumbleUpon is the next website in the list of top 10 sites like Reddit. It’s one of the largest content discovery engines which are designed to allow users to share and discover the content of their interest across the world. Stumbleupon is a great place to get recommended of the topics and web pages that are of your own interests. To get started with Stumbleupon, all you need to the sign up on it which is completely free and tells about your interests to the Stumbleupon and that’s it. Besides recommending you of the interesting content and letting you discover about any page of your interest on the web, Stumbleupon lets you follow other like minded people, discover their posted contents and build up a community of people that you find interesting. Apart from this, like Reddit and other mentioned sites like Reddit, you can give points to your favorite articles, browser other popular and trending topics, save the contents for the later read and have a great experience overall surfing the Stumbleupon. 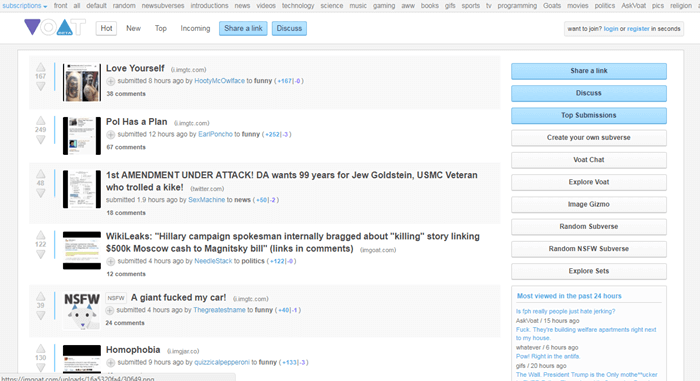 If you visit Voat, you will be surprised with the uncanny resemblance in the Interface of the Voat and Reddit. For the first timer, it’s not hard for them to confuse both the social media websites as same if the name were no different. Started as a hobby project by a 3rd-year student in Sweden in the year 2014, Voat is not a very old member of the family. The primary goal of Voat is to aggregate information from various sources on the Internet and provide them on one platform. Voat allows users to post all kind of content varying from questions, videos, commentary, and news, to anything that is legal to be posted. Like Reddit, people can now have a discussion on the posted content, upvote or downvote them as per their like. Like Reddit. the main content categories are defined in the top menu on Voat and the various section of new, hot, trending topics are located on the second menu. Overall, if we know any site that truly is one of the sites like Reddit, it’s VOAT! If you have any particular product in mind to look for, ProductHunt is certainly the one must visit a website for you! 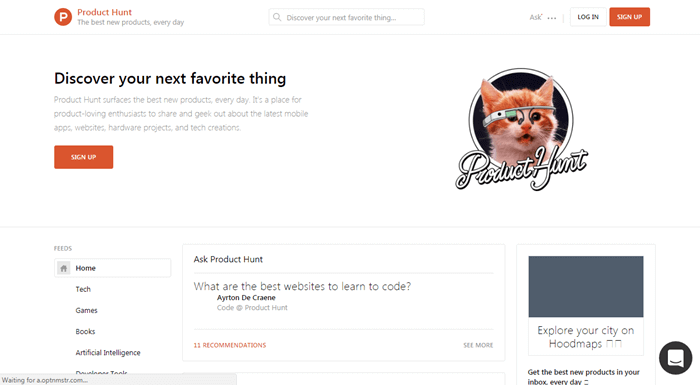 With the little different concept from Reddit but pretty much the same idea, ProductHunt lets you discover the best products for you in various categories. From Tech to Games, Books to latest released apps and the latest released products from any other category can be discovered here on the ProductHunt. If you are a geek and loves to know about the latest gadgets around, you can join ProductHunt to discover the latest products available in the market and connect with the like minded people to explore your knowledge. Besides that, ProductHunt lets people create and share their list of products, leave comments on the other’s lists and have an overall fair discussion on the topics posted on the websites! 4Chan is another site like Reddit that is solely image based! You can consider 4Chan as we have Instagram on our mobile where users are allowed to post Images and drop comments on them. 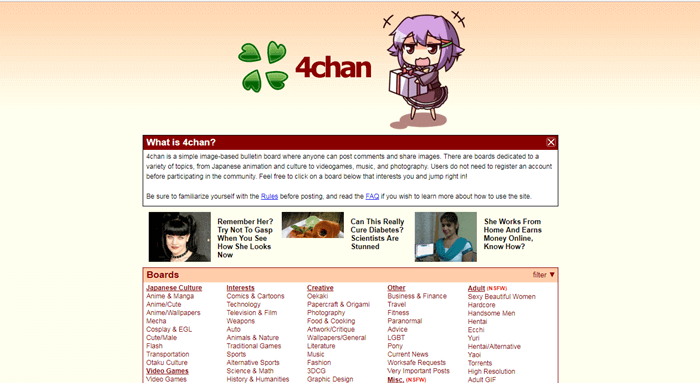 4Chan is basically an image-based bulletin board where Boards for 5 different categories are already there. These categories include Japanese culture, Interest, Other, Adult, and Creative. Under these boards, you can post your images related to Japanese Anime & Manga, Anime/Cute, Anime/Wallpapers, Comics & Cartoons, Technology, Television & Film, Weapons or any other creative photos related to photos, cooking traveling etc. And the best thing is you neither need to sign up for 4Chan to post any image or reveal your name. You can post any image on 4Chan anonymously and comment on the other people’s images! Newsvine is yet another popular news sites and considered to be one of the sites like Reddit. Newsvine is very popular among those whose main purpose for visiting the website is to know about the current happenings on the Internet! Newsvine was first launched in the year 2006 and till then, it’s been getting immense popularity and currently gets around 40 million unique visitors a month, which is a pretty good number. Unlike most of the news websites, Newsvine is not limited to lets its staff and news editors posts the news. Instead, NewsVine resembles pretty much a Reddit-like approach, where users of Newsvine are allowed to post their own article or share any interesting contents they have discovered on the Internet! Besides, Newsvine also allows users to join the user community, drops comments on the posted articles and have active debates about anything posted content on the website! If you are keen technology enthusiasts and holds the extensive interest in the hacking-related stuff, probably Hackernews is the place for you! With the most seamless and clutter-free interface, HackerNews is one of the sites like Reddit which has a similar nature of allowing users to rate contents on the website by giving points and have a discussion over certain topics. The contents that get the highest points gets featured on the top like Reddit. The news that is posted on the HackerNews are fetched from the most trustworthy and reliable sources, thus HackerNews is dependable. Hackernews, probably, is the only place on the internet which is subjected to post every single happening regarding hacking and hackers around the world. 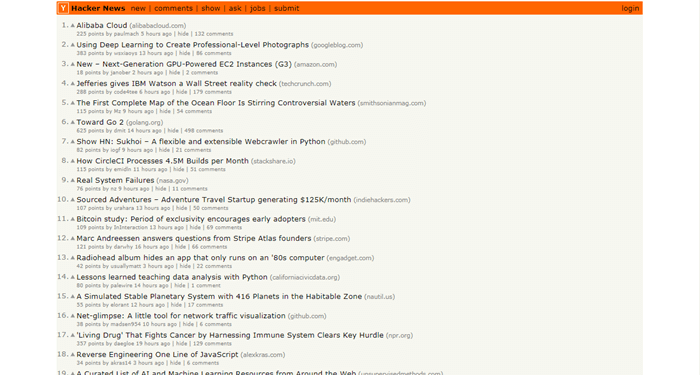 Unlike most of the website mentioned in the article, HackerNews has the easiest of the interface possible. There are no much pages, categories, widgets, ads or any destructive stuff on the website, just a homepage which is provided with the latest news! If the above-mentioned sites like Reddit have not yet satisfied you and you are still in search for the best Reddit alternative which provides the information about the current happenings on the Internet, you can consider Digg without any doubt. 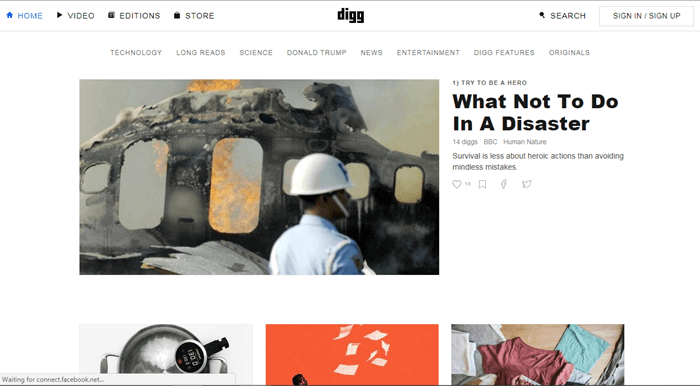 Digg is the place where you can discover any content that is trending on the internet and the one that interests you with the easy navigations options provided on the Digg. The Digg follows the similar approach of allowing users to build up a community of like-minded people and upvote the contents that they like the most! The contents with the maximum votes are then featured on the top to serve the users with the best of the contents. 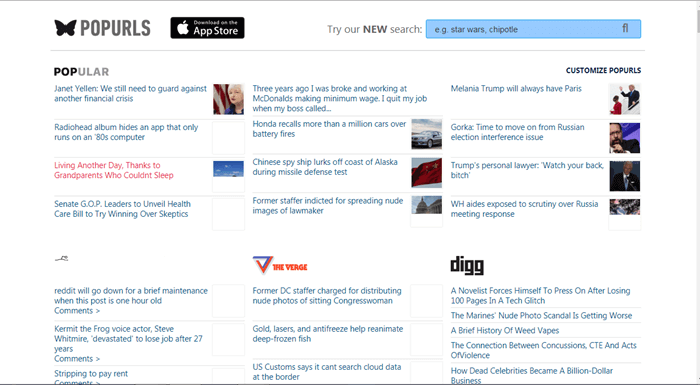 Apart from letting you discover your favorite contents on the Internet Digg allows you to sign up on the website and share your own contents or any content from the web regardless of the kind of the content it is. It can be a story, videos, and any other kind of media. All in all, it’s a great alternative to Reddit which you can consider! 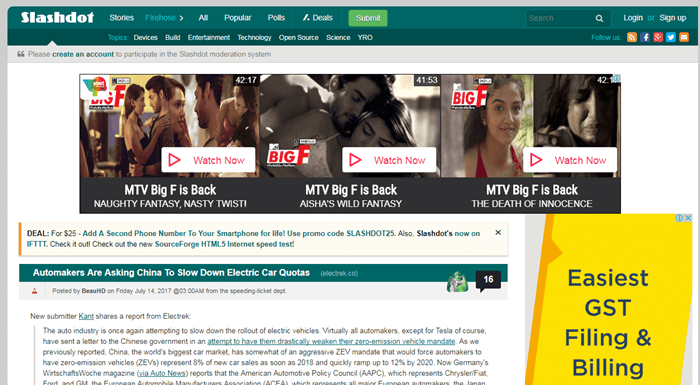 For the tech enthusiasts, slashdot is a must to go for the place. If you are looking for sites like Reddit because you are unhappy with the cluttered interface of Reddit and want information specifically on Tech, Slashdot might be the answer for you. Unlike other news websites, Slashdot doesn’t confuse users and has been specifically designed for the geeks across. 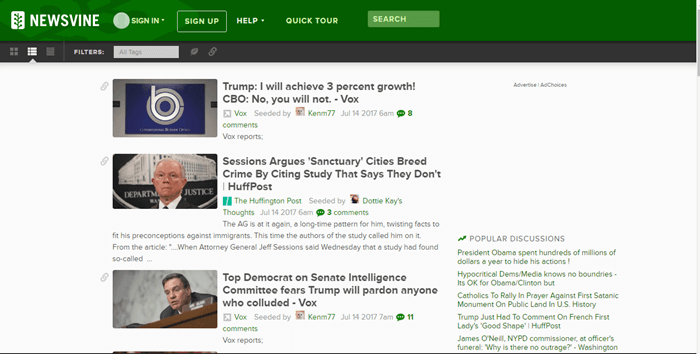 It Slashdot-Like Automated Story-Telling Homepage software to aggregates tech news from hundreds of sources out there to reduce the pain of the readers to discover news from several sources. Besides, users of slashdot are allowed to take part in the discussions made by the Slashdot community members and drop comments to speak their heart out! Popurls is one of the very popular news websites which aggregates contents from several other popular websites like Reddit, Digg, The Verge, The Huffington posts etc to offers news about the latest happenings on the Internet! The Reddit’s main motto is to offer trending news from virtually any categories from around the world to one place and so is Popurls’s. As sooner you visit the Popurls, you will have a clear idea on why we call Popurls one of the sites like Reddit. Popurls is a very well structured news websites which feature contents from the popular mediums in different sections of the home page. Any news or contents that trending on the popular websites like Reddit, Flickr, Meta Filter, The Huffington Post, Long Form, Youtube, Buzzfeed etc is there on the Popurls. If you love to write, you must check 20 Sites to Get Paid to Write Articles Online. So these were the top sites like Reddit that you can consider for getting the information about the current happenings on the Internet, join communities and have an open discussion on any desired topic. There are several other popular websites like Mashable, 9Gag etc which lets you browse through interesting web contents and can also be considered as the Reddit alternative. Still, we do not deny the fact that Reddit is still the king in Social media and news aggregation, it’s one of the most reliable and trusted websites across. The way it’s structured, top stories based on the Upvotes coming to the top, the frequency of updates about all things the internet, and active user community, it’s difficult to vanquish Reddit. But in case Reddit is down at your end or you have been banned by Reddit for breaking the user guidelines, you might need to know about the Reddit Alternatives. If that happens, I’m sure this article can be a great help.